Ever since it began its spectacular China run, the box office collections of Aamir Khan starrer Dangal, have been tracked almost obsessively. Considering that the film has set several records in China — it's outdone Aamir's own 3 Idiots and PK to become the highest grossing Indian film in China and is the highest-earning non-Hollywood/non-Chinese movie there — this is hardly surprising. Dangal, which released in India in December 2016, also opened across a record number of screens in China —around 9,000. To put that figure into context, that was the total number of screens all over the world that Baahubali 2: The Conclusion opened on. Again, in contrast, Dangal, among Bollywood's widest releases before Baahubali 2, had released on 4,000 screens in India and around 1,000 screens in other countries, in 2016. The latest figures now indicate that Dangal has reached the Rs 850 crore mark in China with its box office collections — although the just-released Pirates of the Caribbean: Dead Men Tell No Tales may slow down somewhat, the Khan juggernaut. 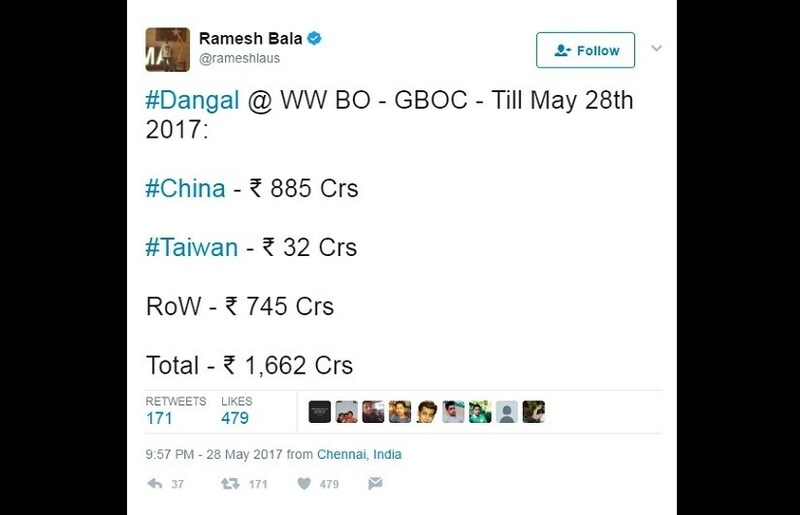 Its China business has allowed Dangal to wrest back the title of 'highest-earning Indian film ever' from a contender that seemed almost unbeatable — SS Rajamouli's Baahubali 2. The Aamir starrer is now in line to touch about Rs 1,700 crore in total box office collections. The Aamir and China connection has been spoken of a fair bit now. For an analysis of what explains his popularity in the land of the dragon, you can read this column by Gautam Chintamani. His socially relevant brand of filmmaking seems to have resonated with Chinese audiences (Dhoom 3 is the only one of his recent releases not to have done well there), and on Sina Weibo (the Chinese Twitter) his followers far exceed that of Narendra Modi. The fascination with Aamir's success in China also reflects the various attempts by Indian filmmakers to tap the market there. When Kung Fu Yoga released in 2016, our columnist SV Srinivas had written this deeply analytical piece about why the film — regardless of how it ultimately turned out — was envisaged as an important film for both India and China. Kung Fu Yoga was initially meant to star Aamir Khan with Jackie Chan (ultimately, Sonu Sood was roped in). 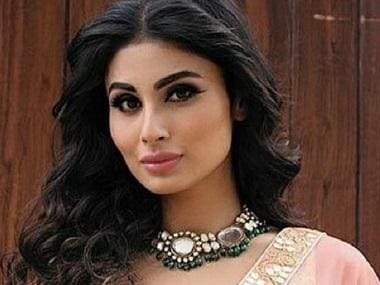 It was also meant to be one among a series of joint productions between India and China. With 'many a slip between the cup and lip', the film ended up being a box office flub in India and elsewhere — although in China, it had grossed a neat Rs 940+ crore (approximately) immediately after its release, more than the Indian box office collection of Dangal. The fate of the remaining co-production ventures has been nothing to write home about. These co-productions are important because China limits the number of non-Mandarin films it allows to be released in its theatres per year. The bulk of this quota is taken up by Hollywood releases, which account for a sizeable number on China's 'highest-earning films' list. Around two Bollywood films are permitted to screen in China yearly. 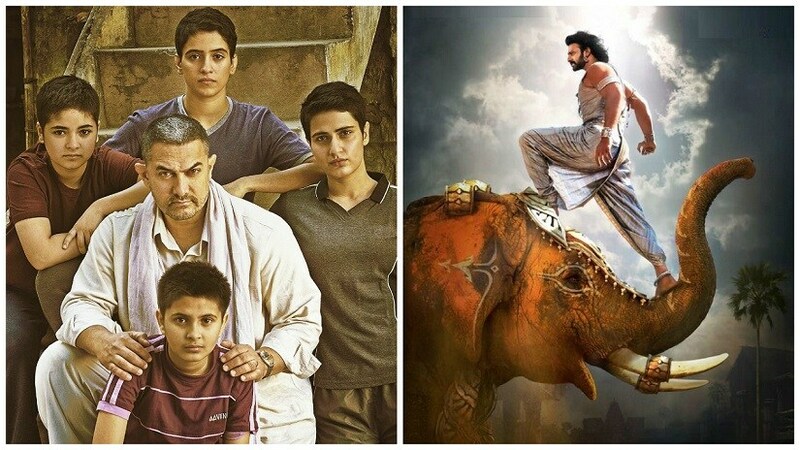 Dangal's total box office collections have now crossed Baahubali 2's to give it the title of 'highest earning Indian film'. The Aamir Khan-starrer has collected between Rs 850-880 crore at the Chinese box office alone. In the wake of Dangal's success, there have been several reports of Bollywood eyeing the Chinese market far more seriously. Certainly, co-productions seem to offer a way around the quota system (it's something Hollywood has tapped — the Matt Damon film The Great Wall being a recent example). Hollywood's also tried to include elements that may attract Chinese audiences to their film (the Kung Fu Panda storyline, or such as having Chinese scientists help save Matt Damon in The Martian). Salman Khan's Tubelight is now expected to be the next big hitter in China: Kabir Khan was one of the filmmakers who was reportedly set to helm one of the Indian-Chinese co-productions discussed pre-Kung Fu Yoga; Tubelight stars Chinese actress Zhu Zhu. However, while these facts may work in Tubelight's favour, its storyline — the China-India War of 1962 — may prove to be a sensitive subject for the Chinese government. Also, Dangal's success may be big news in India, but in China itself, it's currently on the 35th position on the highest-earners list. The top non-Chinese film on the list is The Fate of The Furious' eighth installment, Furious 8, which earned $390 million there. Dangal's $130+ million China collection is surpassed by that of films like Kong: Skull Island, and Resident Evil: The Final Chapter (not to mention the other usual suspects on highest-earning films world over, like Avatar, Avengers, Captain America et al). Kung Fu Yoga is fifth on that list, having earned about $177 million worldwide. 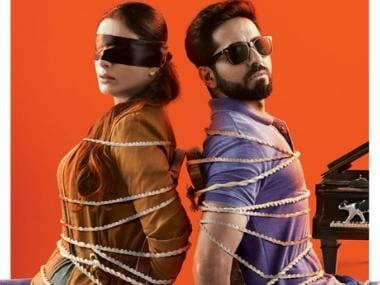 Dangal notwithstanding, Indian films still have a long road to navigate when it comes to success in China.